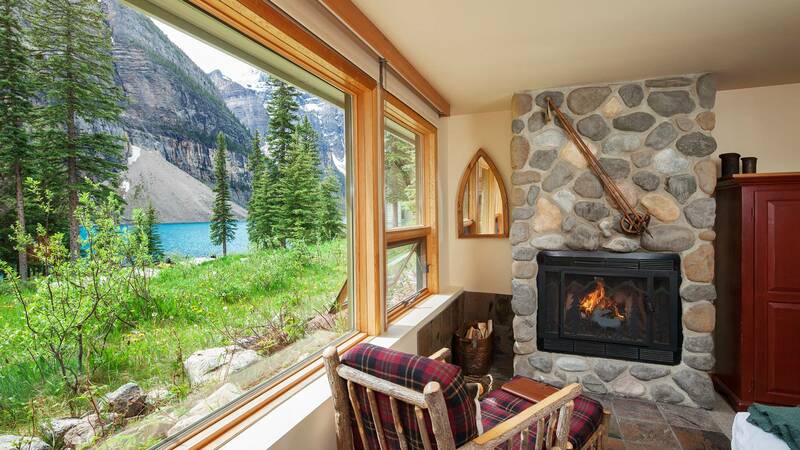 Nestled in a spectacular valley in the Canadian Rocky Mountains, Moraine Lake Lodge provides the ultimate romantic getaway for those seeking a luxurious escape for a honeymoon, anniversary, hiking experience, or a relaxing vacation. 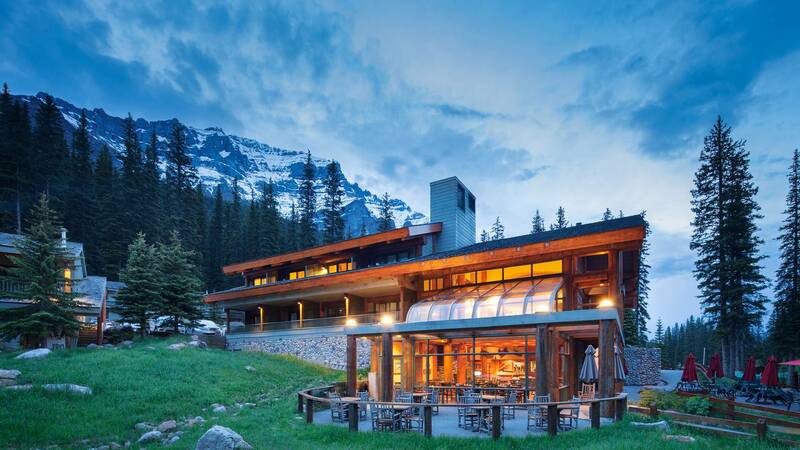 The architecture of the lodge embraces the dramatic beauty of Banff National Park that surrounds the grounds. 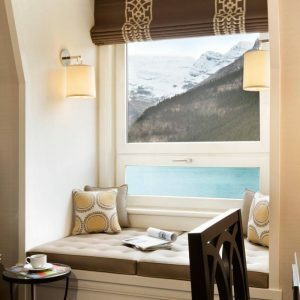 From here you can explore all that nature has to offer, or take short drives to spectacular sites like Lake Louise and the picturesque town of Banff. In the evening, local guides present interpretive shows highlighting the history, geology and geography of the Rockies. 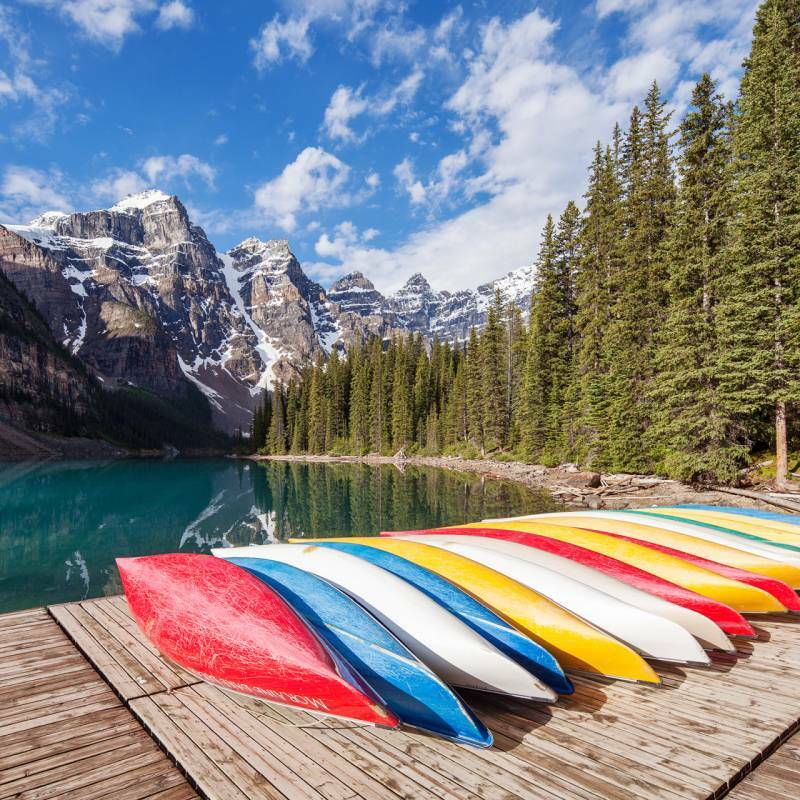 As a guest of the lodge, you will have the use of the complimentary canoes. 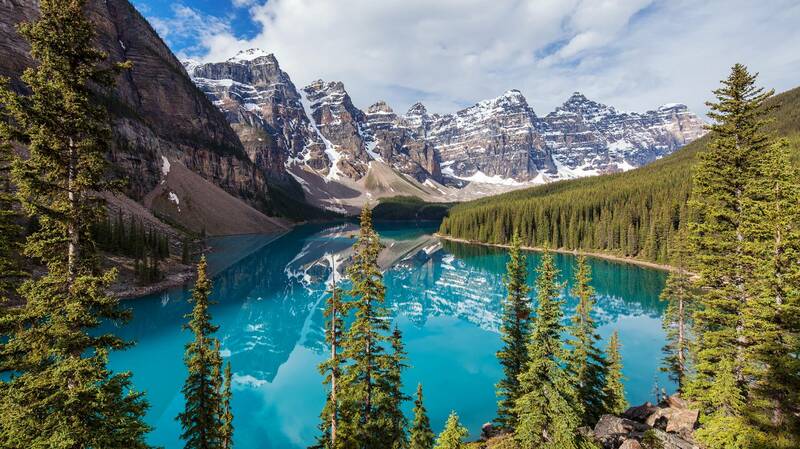 Other activities would include the amazing hiking or driving further into the Rockies, perhaps to Emerald Lake. The alternative is to put your feet up and enjoy the stunning scenery. There are no Televisions or telephones in the bedrooms but internet access and a phone are available in the main lobby. 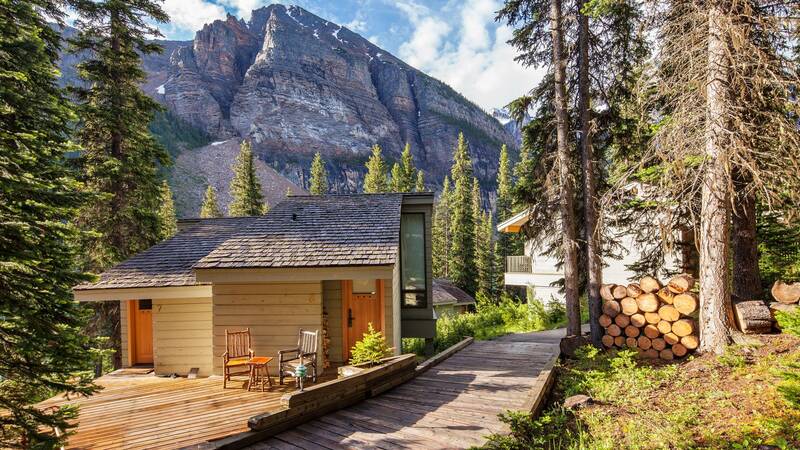 Lodge Double: The Superior room in the Main Lodge offers two double beds, custom-designed log furniture, a fully appointed bathroom with a deep soaker tub and a large private walk out balcony with outstanding views overlooking Moraine Lake and the Valley of the Ten Peaks. 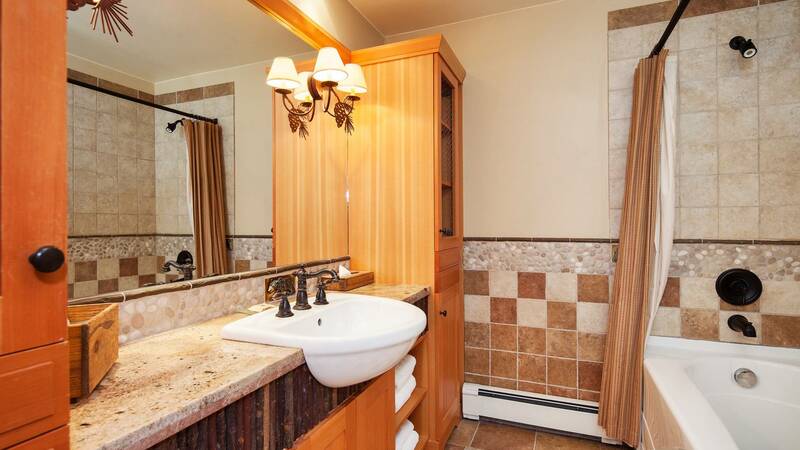 Can accommodate up to 3 people. Lodge Queen: The Deluxe room on the upper floor of the Main Lodge offers one queen bed, custom-designed log furniture, a fully appointed bathroom with a deep soaker tub, an antique style gas fireplace and a large private walk out balcony with outstanding views over looking Moraine Lake and the Valley of the Ten Peaks. 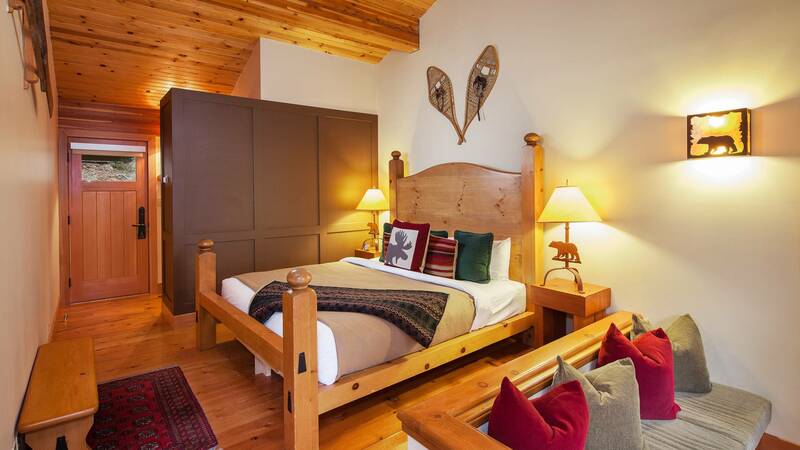 Lodge Suite: The Premier room on the upper floor of the Main Lodge offers guests a stay in a room reflective of the true Canadian Lodge heritage; beautiful hand hewn Douglas Fir post and beam construction, a river rock wood burning fireplace, one king bed, custom-designed log furniture, a deluxe bathroom with a jetted Jacuzzi tub and private walk out balcony with outstanding views over looking Moraine Lake and the Tower of Babel. 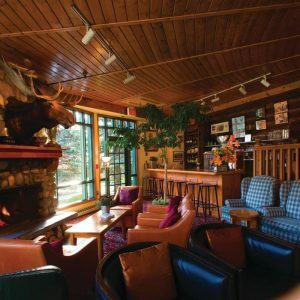 Wenkchemna Wing: The Wing rooms are separate from the Main Lodge offering one queen bed, custom-designed log furniture, a fully appointed bathroom with a deep soaker tub, a river rock wood burning fireplace and a large private walk out balcony with outstanding views over looking Moraine Lake and the Valley of the Ten Peaks. 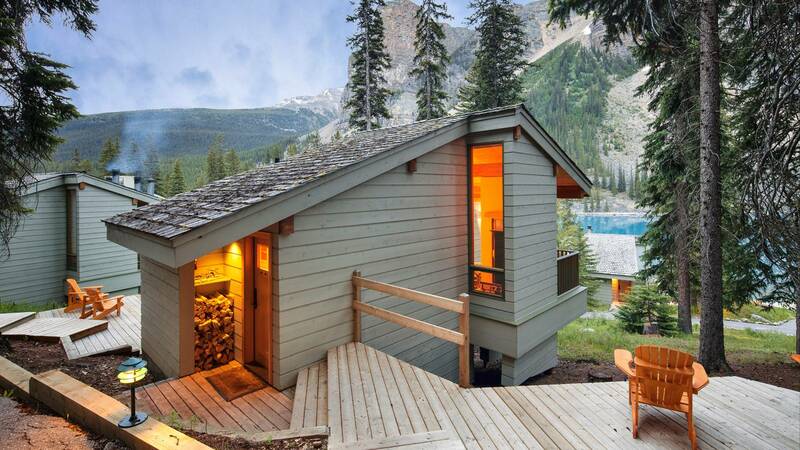 Deluxe King/Twin Cabin: The Deluxe Cabins are nestled amongst the trees along Moraine Lake and have one king bed or 2 twin size beds, custom-designed log furniture, heritage-fir wood flooring, a fully appointed deluxe bathroom with a deep soaker tub, a sunken seating area that surrounds the river rock wood burning fireplace and a private walk out balcony that face the lake and mountains. These rooms are Frontier’s favourites! 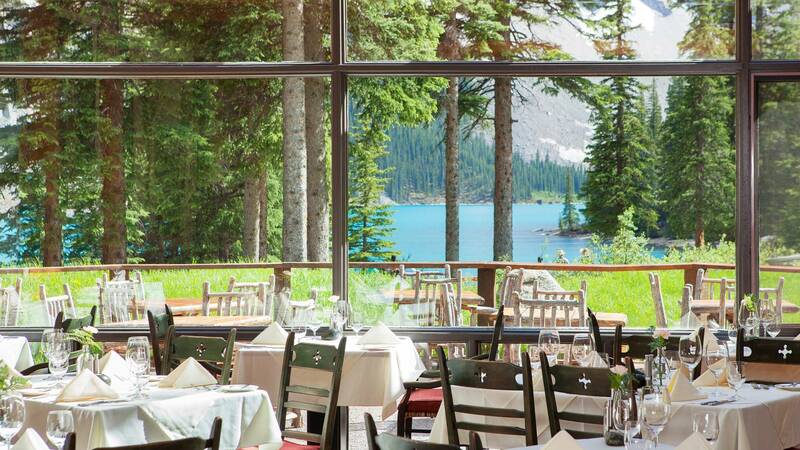 Outstanding staff and a great restaurant with one of the best views in Canada.